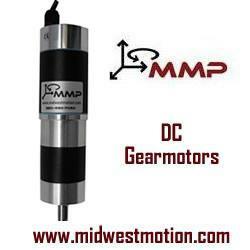 Tell us about LM Industries. You’re noted as the first digital OEM. What does that mean in practice? A digital OEM means that we can build large, complex cyber-mechanical products from concept to deployment in under a year on our digital thread. This speed lets us bring products to market in a whole new way, designing with a global community of experts, and applying technology such as 3D printing to create and assemble products in small batches at our agile microfactories. We fulfill every step of the creation process from design to production in-house, the result being more stakeholder centric products, built at a lower costs, using fewer resources and taking less production time. We start with “co-creation,” where we source design ideas using challenges on Launch Forth, our global community of designers and engineers. Once a winning design has been well received by users as a minimum viable product (MVP) it moves immediately into manufacturing, using one of our microfactories powered by robotic, additive and subtractive manufacturing capabilities, which includes using the world’s largest 3D printer, the Thermwood Large Scale Additive Manufacturing (LSAM) for production. From this process, we’ve made the world’s first co-created car, the Rally Fighter; the world’s first 3D-printed car, Strati; and the world’s first co-created, self-driving, cognitive, electric shuttle, Olli. We also created our own subtractive process and composite materials for use in our vehicles. Why has LM Industries chosen to go in a different direction than other vehicle manufacturers like the Big Three and the likes of Tesla? Consumers want and expect more from their cars and mass manufacturing can’t keep up. The current mass manufacturing model is on a five- to seven-year innovation cycle where millions of the same, few models are made. This model doesn’t work for today’s consumers. They don’t fall into a traditional set of demographics anymore and in almost all other products (eg clothing and fashion) have access to unlimited options due their deep connection to technology. Unlike today’s standard, LM Industries quickly develops small batches of customized mobility vehicles for a specific consumer and purpose. We want to transform the mobility industry to be faster, more flexible and customizable to match the new pace of technology and consumer needs. So how does that look in terms of materials and in your products like Olli? 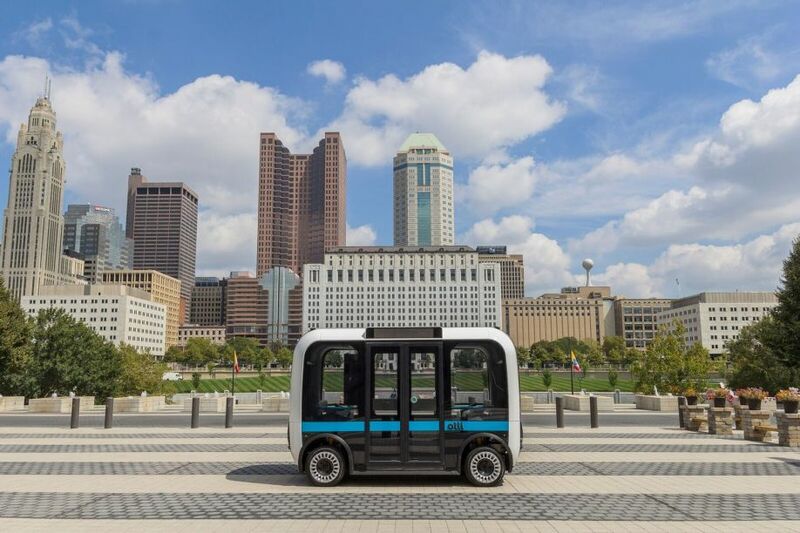 LM Industries’ low speed, electric and autonomous vehicle, Olli, uses carbon fiber-reinforced polymer thermoplastics in its 3D printing process. Additionally, Olli’s chassis is nearly 90 percent 3D-printed, which is critically important to recyclability and to enabling its capability to reach the market faster. Manufacturers in many industries feel pressure to make their processes and products more responsible. How is LM Industries approaching transparency, sustainability, etc.? One of the great things about direct digital manufacturing is that it’s essentially a completely sustainable process. For example, one of our core materials is product-agnostic polymers, meaning if a finished product isn’t up to our standards we have the ability to melt the pieces down and reuse the materials. We maintain an incredibly lean inventory management system thanks to the reusable carbon-fiber reinforced thermoplastics. As well our microfactories easily integrate with and reinforce local talent and economies by using local supply chain resources and creating specific vehicles for exactly when and where they’re needed. These materials and manufacturing processes are far more efficient, adaptable and logical than mass manufacturing. What is coming up next for you, and where do you see direct digital manufacturing and additive manufacturing moving in the near future? Mobility is changing at a pace that’s never been experienced before even at the dawn of the automobile. As a company, we want to be at the forefront of that cutting edge, providing people with mobility products that address real problems like congestion, access to transportation and sustainability. 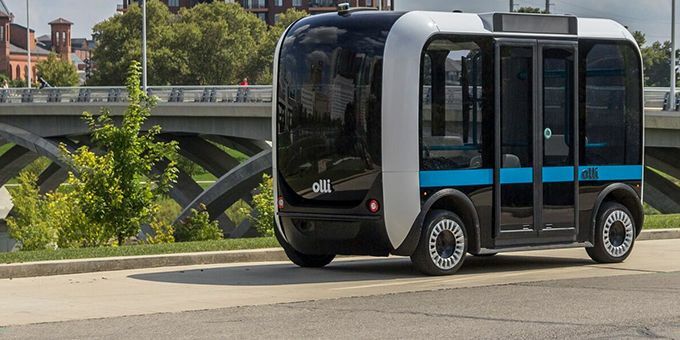 Olli is a great example - Olli just launched on University at Buffalo’s campus, where it’s part of autonomous vehicle research and education as well as a statewide initiative to reduce New York’s greenhouse gases by 40 percent by 2030. This is just the beginning of national and global rollouts planned for the future. We’re also working with multiple partners to figure out solutions to specific problems by developing new products through Launch Forth challenges. For example, Launch Forth recently completed the co-creation phase of the Island Electric Vehicle (EV) challenge, which called for designs to make a low-speed, rugged, electric vehicle particularly designed for island economies. The major revolution in direct digital manufacturing is that 3D printing is becoming a manufacturing tool rather than a modeling tool. It’s a huge shift in application fueled by changes in material, machine and processing science.